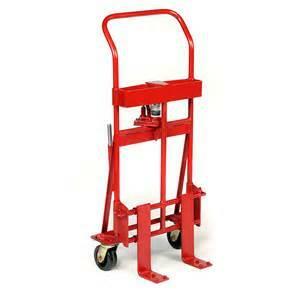 ROL-A-LIFT MODEL HM-2; HYDRAHLIC LIFT 5-1/8" @ 2000 LB. PER PAIR..
2" X 5" PHENOLIC WHEELS ; HGT. 47.5" ; WIDTH x 23"
FORKS = 5" LONG x 3" WIDE X 1-1/8" HGT. * Please call us for any questions on our lift rol a pair 2000 set rentals in Cincinnati Ohio.